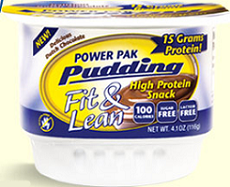 Right now until October 28 you can get FREE MHP Power Pak Pudding Fit & Lean at GNC! Valid at participating GNC stores only. One coupon per person. Coupon must be presented at time of purchase. Limited to the first 700 coupon redemptions per day.